This issue provides information about innovations and practical advices for the pharmaceutical industry. Welcome to the JUMO pharmaceuticals and biotechnology newsletter. the pharmaceutical industry. As usual JUMO offers individual solutions for your requirements – with maximum efficiency and excellent plant availability. See for yourself – visit us on our website or simply contact me directly. We would be happy to assist you in selecting suitable products. Achema 2018: Save the date! in Frankfurt/Main from June 11-15, 2018. Interested? Here you can already reserve your entry voucher today. It is worth your while to stop by our booth. 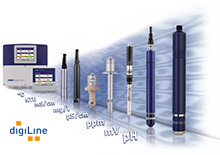 JUMO digiLine sensors in combination with the digital sensor management allow flexible solutions for almost every application. JUMO DSM makes documenting sensor and measuring point data even easier. Discover the new possibilities for the applications in the pharmaceutical industry! 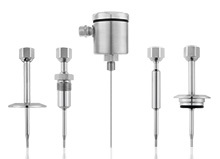 Reliable and stable measured values – even after CIP cleaning and on-site sterilization processes with temperatures of up to 135 °C as well as pressures of up to 6 bar – are possible! Also available as a digital version with reusable electronics. 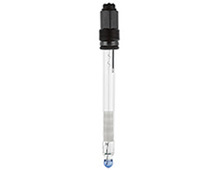 Use hygienic thermowells to improve the process safety and to eliminate process failures! Interested? For more information and useful advices please visit the JUMO-Website. Want to unsubscribe from this newsletter? Unsubscribe.